State Bank of India (NSE:SBIN) is a large-cap stock operating in the financial services sector with a market cap of ₹2.4t. As major financial institutions return to health after the Global Financial Crisis, we are seeing an increase in market confidence, and understanding of, these “too-big-to-fail” banking stocks. The recovery brought about a new set of reforms, Basel III, which was created to improve regulation, supervision and risk management in the financial services industry. The Basel III reforms are aimed at banking regulations to improve financial institutions’ ability to absorb shocks caused by economic stress which could expose banks to vulnerabilities. As a large bank in INR, SBIN is exposed to strict regulation which has focused investor attention on the type and level of risks it is subjected to, and higher scrutiny on its risk-taking behaviour. We should we cautious when it comes to investing in financial stocks due to the various risks large banks tend to face. Today we will analyse some bank-specific metrics and take a closer look at leverage and liquidity. Banks with low leverage are exposed to lower risks around their ability to repay debt. A bank’s leverage can be thought of as the amount of assets it holds compared to its own shareholders’ funds. Financial institutions are required to have a certain level of buffer to meet capital adequacy levels. State Bank of India’s leverage level of 15.22x is very safe and substantially below the maximum limit of 20x. This means the bank exhibits very strong leverage management and is well-positioned to repay its debtors in the case of any adverse events since it has an appropriately high level of equity relative to the debt it has taken on to remain in business. If the bank needs to increase its debt levels to firm up its capital cushion, there is plenty of headroom to do so without deteriorating its financial position. How Should We Measure SBIN’s Liquidity? Due to its illiquid nature, loans are an important asset class we should learn more about. Generally, they should make up less than 70% of total assets, which is the case for State Bank of India’s ratio at 54%. At this level of loan, the bank has preserved a sensible level between maintaining liquidity and generating interest income from the loan. 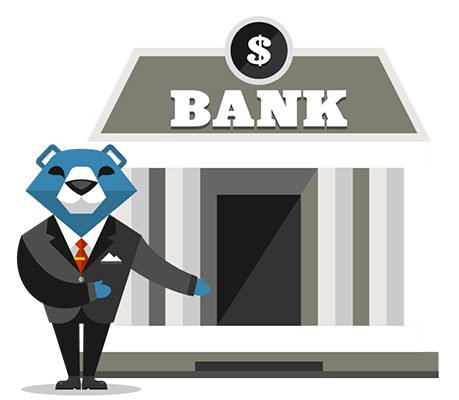 SBIN profits by lending out its customers’ deposits as loans and charge an interest on the principle. These loans may be fixed term and often cannot be readily realized, however, customer deposits are liabilities which must be repaid on-demand and in short notice. This mismatch between illiquid loans and liquid deposits poses a risk for the bank if unusual events occur and requires it to immediately repay its depositors. Since State Bank of India’s loan to deposit ratio of 69% is well-below than the appropriate maximum of 90%, this means the bank is lending out less than its total level of deposits and positions the bank cautiously in terms of liquidity as it has not disproportionately lent out its deposits and has retained an apt level of deposits. Given the large headroom for growth in loans, the bank has opportunity to grow its interest income. Is ASTM SpA's (BIT:AT) ROE Of 11% Impressive?